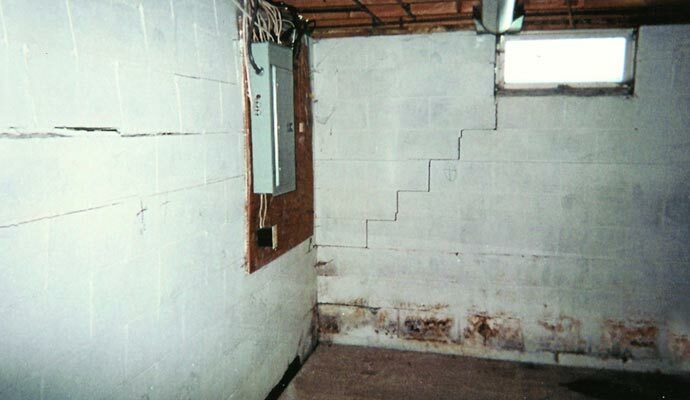 Basement Waterproofing is not a do-it-yourself project. It involves some understanding of what causes a basement to leak and the various methods for repair. Americrawl is a qualified and certified basement waterproofing company in Indianapolis, Central Indiana (serving greater Indianapolis, Indiana, Kentucky, Ohio, Illinois) Americrawl knows how to fix a leaky wet basement, and keep it dry all the time. Call us or fill out our form for a Free Basement Waterproofing Quote and Inspection. Who We Are. Americrawl is a highly trained team of basement waterproofing experts. Our production and service departments, system design specialists, and customer service people are trained and certified in the latest technology of Basement Waterproofing, and always try to go that extra mile. Read more about us. 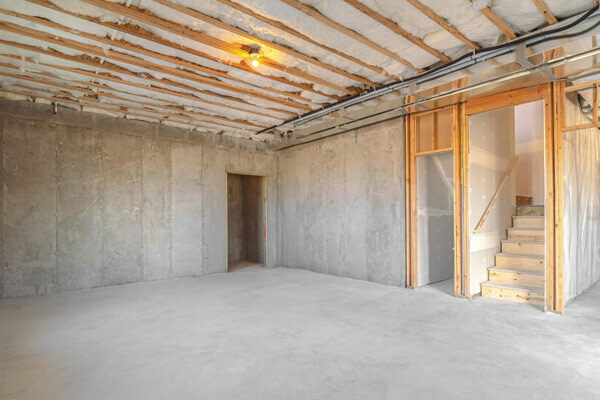 Basements are imperfect concrete structures built in soils that vary from region to region. 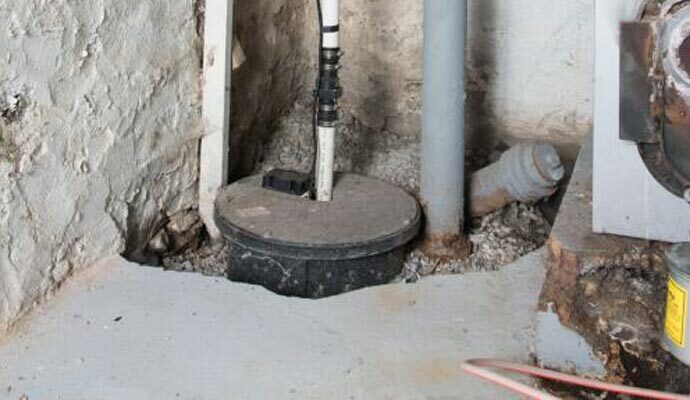 Water in the soil leaking into basements is a problem that has troubled homeowners for more than 100 years in the Central Indiana, and midwest region. This water will enter the basement through the walls, floors, and joints between them. Over the years, contractors and engineers have developed a wide variety of methods to keep basements dry. Some of these methods are more effective than others. Another challenge for subfloor systems is to set up the system to accept water from the walls without leaving a large unsightly gap at the edge of the floor which can collect dirt and debris from the floor - another potential for clogging the drain. 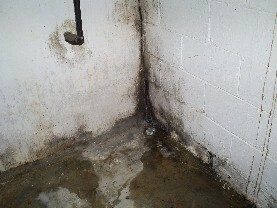 Americrawl uses the AkwaGard ® Basement System designed to meet these challenges and keep your basement dry permanently. As seen in the diagram below, the AkwaGard ® Style Basement Drainage System has been proven by university studies to be the "most effective" interior drainage system available. Out performing both the "baseboard" drainage system and the "top of the footer" drainage system, the AkwaGard ® drainage system will move more water faster than any other interior system available. Studies Prove The AkwaGard ® System as "Most Effective"
Americrawl installs a state-of-the-art French drain (aka drain tile) system called AkwaGard® – The most effective system available today. What makes AkwaGard® much more effective than a basic French drain or drain tile system is its design. AkwaGard® is specially engineered to sit beside the basement footing, keeping it up out of the dirt and mud (the Mud Zone) and making it highly resistant to clogging. 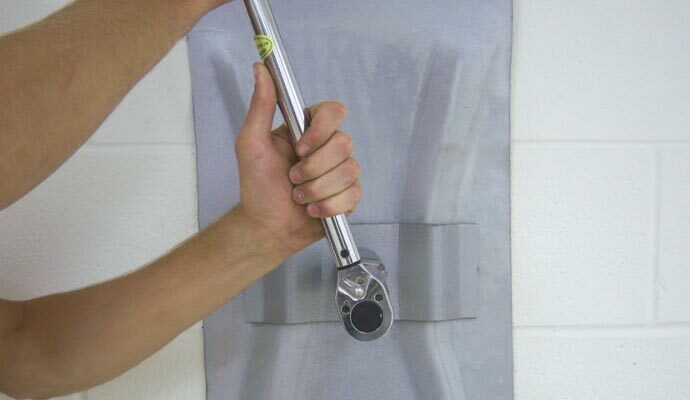 A special "L" flange also makes a clean edge at the basement wall and prevents dirt and debris from falling into the system. The AkwaGard® Basement System will route all water infiltration to a lift station, or basment Sump Pump. Americrawl will help you choose the right Sump Pump System for your home. Our Central Indiana service area includes: Indianapolis, Anderson, Avon, Bloomington, Brownsburg, Carmel, Columbus, Crawfordsville, Fishers, Franklin, Greenwood, Greenfield, Kokomo, Lafayette, Lebanon, Martinsville, Marion, Muncie, New Castle, Noblesville, Richmond, Terre Haute, Westfield, Whiteland, Zionsville and the Greater Indianapolis Area. Call or Contact Americrawl for the best French Drain waterproofing system available. Drain tile and French drain first started to be used in basement waterproofing projects in the 1920s. Originally designed with clay tile, French drains and drain tile piping were designed by Henry French. Given the time, this was an excellent solution. Today, this drainage system lives on,however, since the 1990s, a more effective alternative has been developed – the AkwaGard ® drainage system. All over Indiana and surrounding states, Americrawl has pulled out several clogged, French drain and drain tile waterproofing systems. Let Americrawl install a basement system that will solve your wet basement problem once and for all - and we supply a written, transferable lifetime warranty on our waterproofing system. For a free inspection and estimate on the state-of-the-art AkwaGard® French drain or drain tile system in Indiana or surrounding states, call 1-888-882-7295 or use our contact page online. 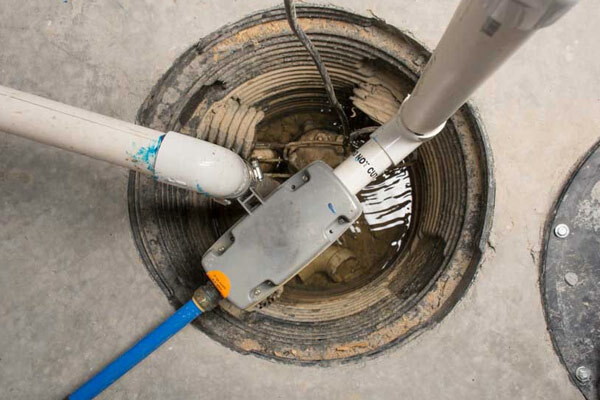 Rarely will a basement drain system be able to void without a lift station or sump pump system. Americrawl has the most advanced sump pump systems available on the market today. ...CLICK HERE... to see our available sump pump options. If your window wells are rusty, ugly, open at the top (or even absent), they can be dramatically improved. Window wells without covers let in leaves, debris, rodents, rain and gutter overflow. The dirt bottom allows weeds to grow and mud to splash up onto your windows. All this makes for an unattractive view from inside the basement—the very space you want to improve. 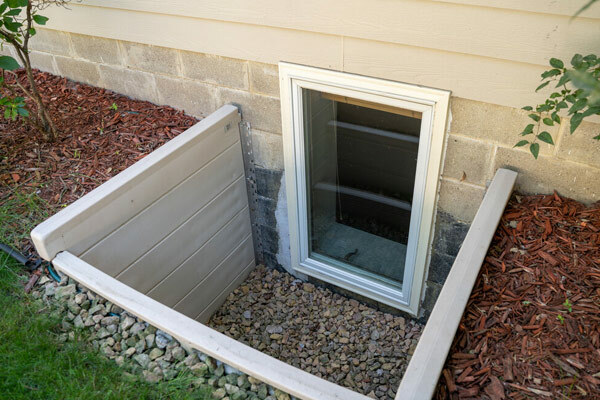 Americrawl offers a great product called BriteWell basement window enclosures The light-colored BriteWell window well features a sturdy, clear cover that keeps out leaves, debris, animals and rain, and a bottom that prevents weed growth. One of BriteWell’s best benefits is that its clean, light-colored floor causes sunlight to bounce back into your basement and brighten a space that almost always can use more light. Ask Americrawl about BriteWell basement window enclosures, especially before having new windows installed. You don’t have to put up with ugly, damp basement walls anymore. DecoWall Panels is a waterproofing paneling system that will dramatically improve the appearance of your basement. The panels provide a clean, bright, maintenance-free and semi-finished look for the walls while directing any leaks or water vapors to a water management system at its base. Waterproof DecoWall Panels are mechanically fastened to existing basement walls, eliminating the need for undependable adhesives. And they’re guaranteed to never warp, rot or fade. Forget paints, sealers and other temporary fixes for unsightly walls. If your basement will remain unfinished, and you want the nicest look possible, this is your answer for a dressed-up, permanent basement wall solution.